Time for our Workout Of The Month. Each month we take a look at a different exercise and break it down by movement, how to do it, and discuss some of the positive versus negative impact that it can have to you and your level of fitness. Some workout’s of the month breakdown how to do a common exercise, others feature a specific exercise. This month we take a look at the three basic types of human movement (saggital, frontal, and transverse) and how to incorporate each type of movement into a basic workout regimen. The key to designing any workout program (especially if you’re thinking of designing a workout program yourself) is to make sure your workout regimen includes the three types of basic human movement across the three planes: sagittal, frontal, and transverse. 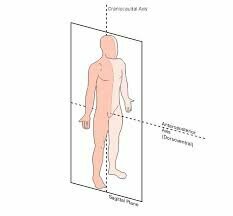 The first type of basic human movement we’re talking about is the sagittal plane. This plane of movement splits the right and left side of your body in half. So, find your umbilicus and draw a straight line down your body dividing your left side from your right side – that’s your sagittal plane. Basic types of human movement across the sagittal plane include forwards and backward movement and joint and muscle flexion and extension – think of flexing your arms and extending your arms. 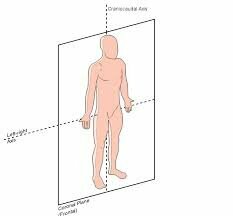 The second type of basic human movement would be the frontal plane. Opposite of the sagittal plane, the frontal plane splits the body in half from front to back and extends out to the left and right sides. 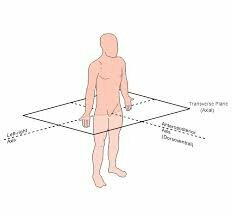 Like the sagittal and frontal plans, the transverse plane also creates a half of a body but this plane splits the body into upper and lower halves. Movements in the transverse plane include internal rotation (rotation of a joint toward the middle of your body) and external rotation (rotation of a joint away from your body) for your arms and any right or left twisting movements (like with your neck or abdomen). Your body is as functional as a car with many moving parts and purposes. A simple basic principle to avoiding muscular imbalances is ensuring that your training regimen includes all types of basic movement which is one reason why I believe a workouts should be tailored to move than “just” lifting weights – especially if your hobbies include activities with side to side or twisting motions. Do you like what you read here? Get our articles sent directly to your mailbox. Clark, M., Corn, R., Lucett, S. NASM Essentials Of Personal Training. National Academy Of Sports Medicine. Baltimore: Lippincott Williams & Wilkins. 2008. 60-61. Print.